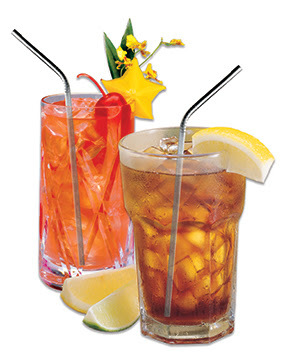 These stainless steel drinking straws come with a flexible brush for easy cleaning. By using the brush you can clean the inside of all 8 1/2 inches in length of the straws. With them being stainless steel you can help the environment by cleaning up and not using the plastic ones. They are also dishwasher safe. They are 100% stainless steel. These make great for any party or occasion as well as everyday use. They also make great for cocktails or party favors. Note: Children under the age of 12 should be supervised. Also, if your teeth are easily chipped or break easily, you need to be careful when using these. If you hit your teeth or your lip with these, it will hurt. And yes, there are some that would do this. I love these because I don’t have to throw them away and run out of straws, they help the environment and also are washable. Another great blogging site for all of you bloggers.